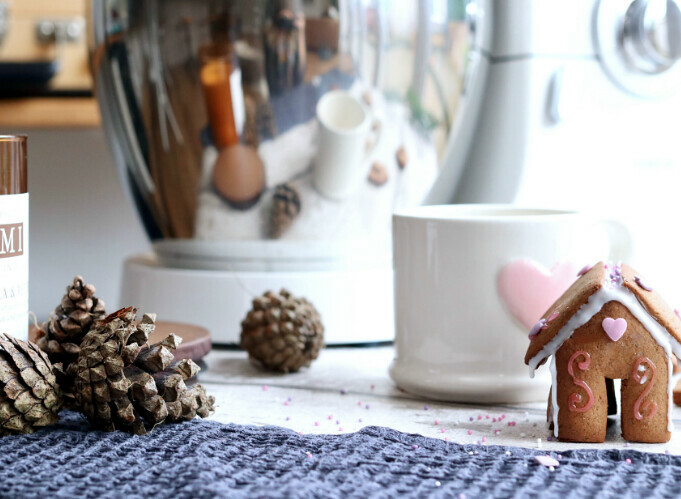 It’s no secret that gingerbread is one of the greatest scents of Christmas, the rich, heady smell that fills the room as soon as it starts baking is just divine and one of my all time favourite, festive smells and tastes. 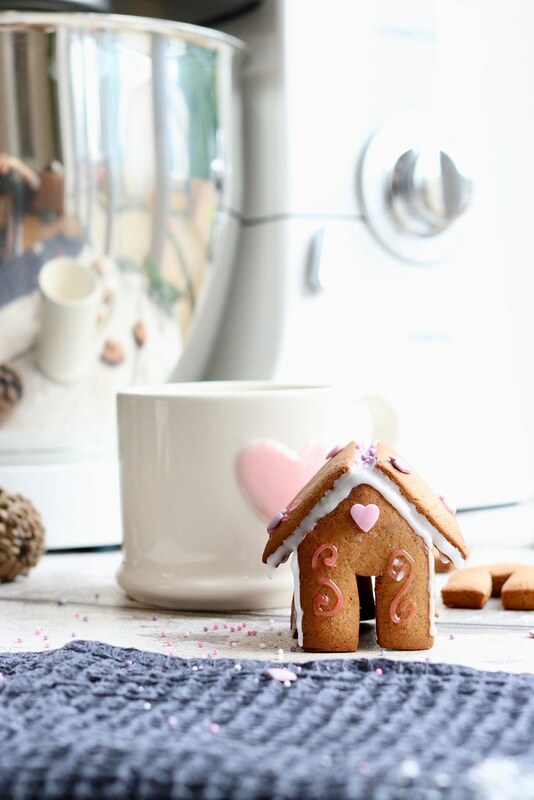 It’s become a tradition in our house to have gingerbread (in any form) along side a cup of tea or hot chocolate so I thought what better way to switch up from the bog standard gingerbread man to mini gingerbread houses….why the hell not! Here’s how. 1. Preheat oven to 180 C. Put flour and bicarb of soda into a mixer and set aside. In a pan heat honey, sugar and gingerbread spice until a dark runny liquid forms, set aside until it cools slightly. Pour this mixture into the flour along with the diced butter and egg and mix until a stiff dough forms. 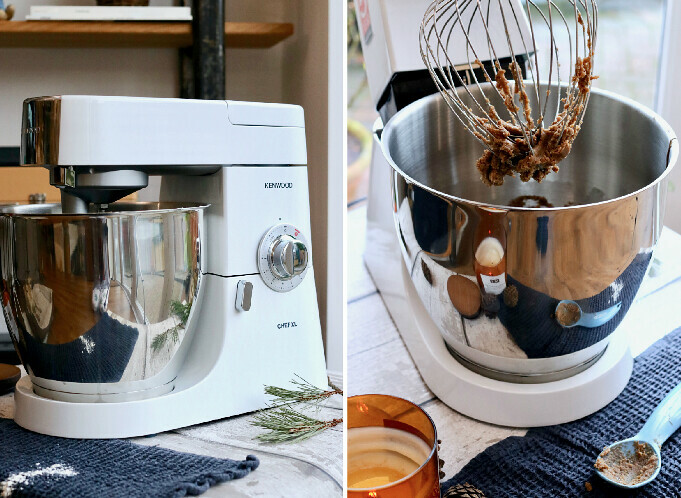 Remove from mixer and knead for a further 5 minutes. Shape into a ball, cover with cling film and chill for 20 minutes. 2. Remove dough from fridge, sprinkle the worktop with some flour and roll out dough to 2-3mm thick. Using a template cut around the house shapes and set them aside on a lined baking tray ready for the oven. Bake for 4-5 minutes or until golden brown in colour. 3. Once the shapes have cooled it’s time to decorate! I used icing pens to do this but if you want to get really technical you can use sugar work or royal icing to stick the edges together. It’s pretty self explanatory, just find the right shapes and get sticking together. Once set you can then decorate them as you please, it can get a bit messy so make sure you’re patient and let bits fully dry. They are the perfect little addition to a steaming hot cuppa, you could even pop them in a cellophane bag and put them in friends & families stockings, they will love you forever. Oh my goodness! These are absolutely darling! Love them! 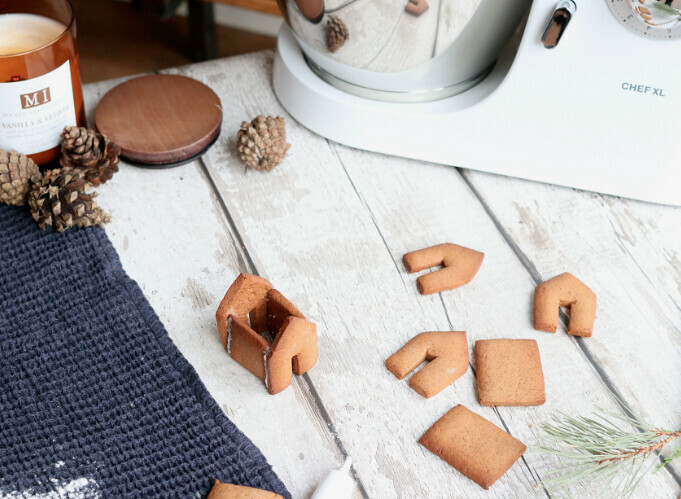 I've made a few batches of gingerbread men/snowflakes which are classics; these would be such a cute project to do with my younger siblings though. 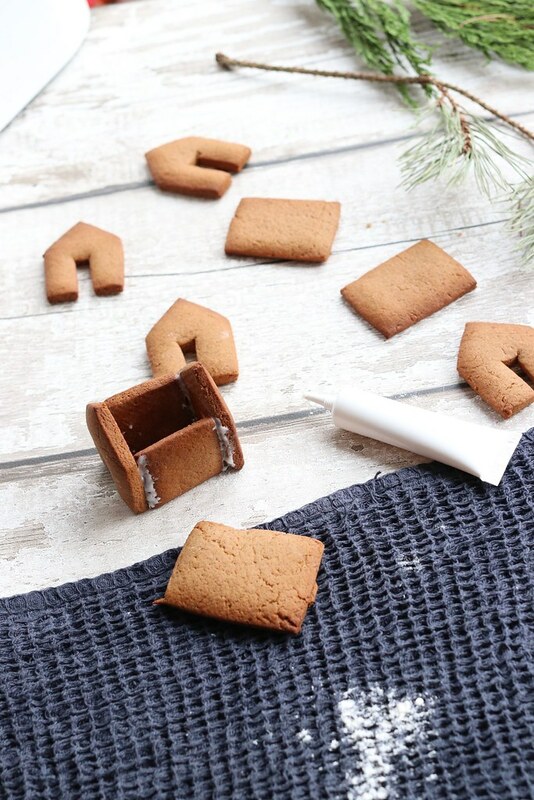 I love how tiny they are… not so overwhelming as a regular gingerbread house… ha ha!